Instant Cryptocurrency Exchange for WP supports about 50 top cryptocurrencies. It has dark and white color themes. You can easily add it to your pages and posts via shortcode. You get Quick and Precise Exchange methods. 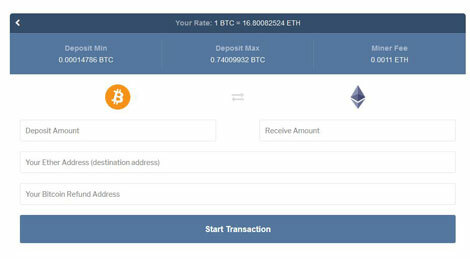 For both, you will just have to input your coin and refund address. 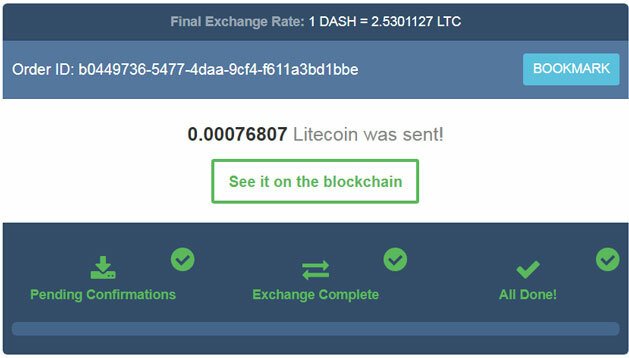 The second method requires you to send an exact amount of coin to the generated address.